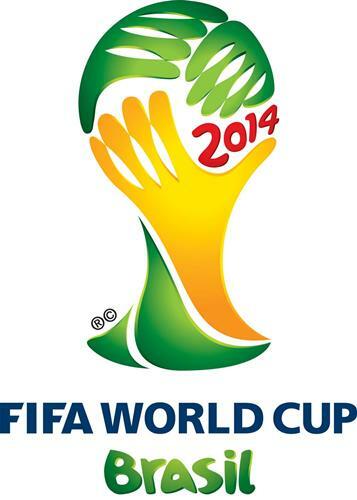 Group F features one of the favorites predicted to win the 2014 World Cup in Argentina. They are joined by Bosnia and Herzegovina, Iran, and Nigeria. While Argentina should be able to top the group, the remainder of the teams will hope to make it difficult. Argentina had some struggles in qualifying for the World Cup despite finishing at the top of the CONMEBOL. They are a team that is filled with attacking talent and options, perhaps too many. In fact, they have had so many top forwards that Carlos Tevez was left off of their 23 man squad travelling to Brazil. Perhaps this will be the season that Lionel Messi can shine on the international stage, after all, he will have the likes of Angel di Maria, Sergio Aguero, and Gonzalo Higuain to play alongside. There have been some question marks in their defense, but this was a defense that allowed the second fewest goals in qualifying with just 15 in their 16 matches. Bovada puts Argentina second at 4/1 to win the World Cup while World Cup Betting have them at +375 to win. This is a team that everyone should watch out for. They have a solid attacking setup with a strong goalkeeper at the back. Their midfield is commanded by Miralem Pjanic of Roma and he will be their key player to watch out for. Up front they have two spectacular scoring threats in Edin Dzeko and Vedad Ibisevic who scored 10 and 8 goals respectively during qualifying. This will be Iran’s fourth World Cup, though they have yet to get out of their group. Once again, they will struggle do so despite having a top manager with Carlos Quieroz, and having players with experience in some of the top leagues of the world. Midfielder Ashkan Dejagah is one talent to be watched following some excellent displays for Fulham in the Premier League this past season. There is also the up and coming young winger, Alireza Jahanbakhsh to watch out for. While the Super-Eagles don’t have star power in their squad they have a solid team that comes into the 2014 World Cup following their African Cup of Nations championship. Perhaps their most well know players are the mercurial Peter Odemwingie of Stoke City, John Obi Mikel from Chelsea, Victor Moses of Liverpool, and Shola Ameobi from Newcastle United. This is a team that has a stout defense having given up just 4 goals in their 8 qualifying matches. The young Chelsea center back, Kenneth Omeruo, is much to do with this along with their goalkeeper, and team captain, Vincent Enyeama. Argentina should be able to come through this group unscathed and with maximum points. Who finishes second behind them will be the big question. Nigeria and Bosnia and Herzegovina stand a very good chance of going through and this will most likely be determined by their head to head match taking place on June 21 at 6:00pm ET. This will be the pivotal match of the group. The winner of Group F will play the Group E runner-up while the runner-up here will play the Group E winner. Group E consists of Ecuador, France, Honduras, and Switzerland. Also, be sure to keep checking back for my weekly predictions throughout the tournament.